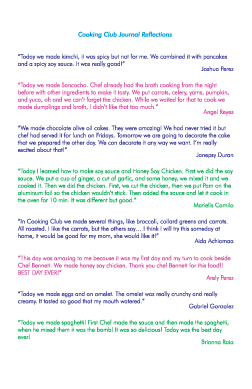 It's a celebration of food and love. 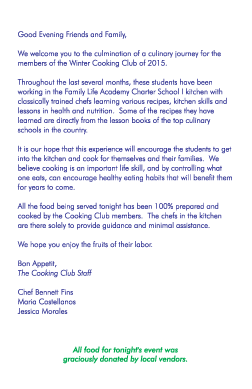 The Healthy Hearts Valentine’s Celebration had fifth grade students of the FLACS Cooking Club working with local food businesses and chefs to host a student-run banquet dinner. 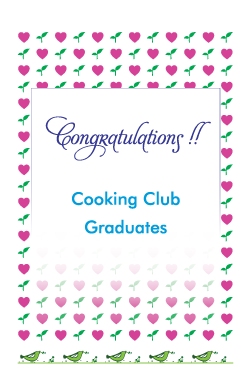 Cooking workshops were held over the course of two months. 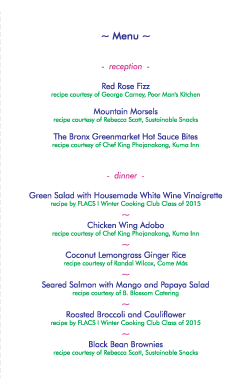 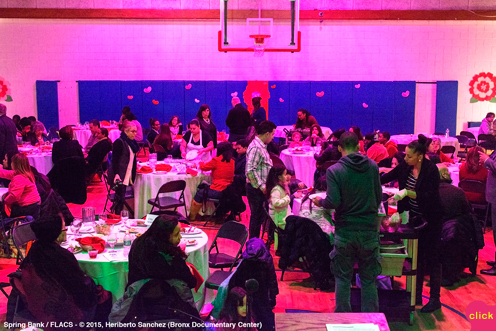 Local chefs were invited to teach one of their signature recipes to students, who then prepared the dishes at the Healthy Hearts Valentine’s Celebration for parents, families, and friends, on February 27th, 2015. 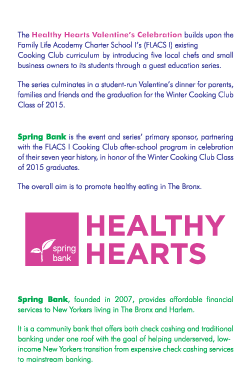 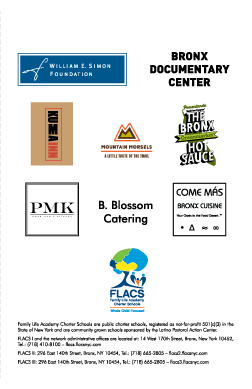 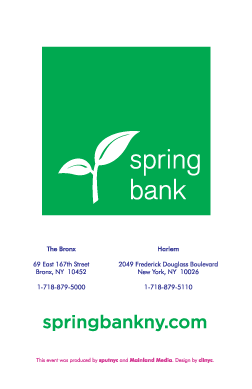 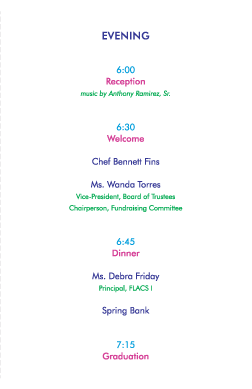 The event was sponsored by Spring Bank, a local community bank headquartered in the South Bronx. 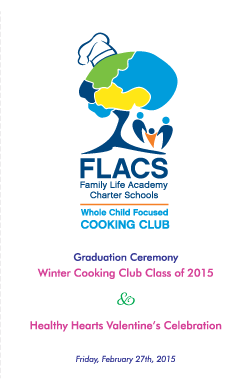 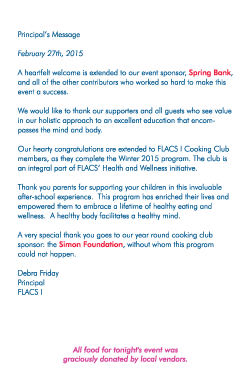 Close to 200 guests attended the festivities, which culminated in the FLACS Winter Cooking Club Class of 2015 Graduation.